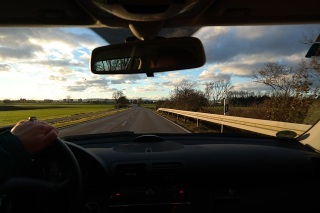 Top 7 Tips For Your Summer Roadtrip! Prepare Your Vehicle For A Summer Road Trip! especially in the summer months when you can get out and explore along the way! Before you leave for your trip, it's a good idea to prepare your car so you can ensure a smooth trip ... or atleast that your drive will be a smooth one! If you car hasn't had a checkup in a while, spending the money to get a tune up before you leave might save you from having to pay for a major repair if something happens along the way. Your mechanic can ensure that your car is in working order; just remember to take it in atleast 2 weeks before you leave to give the mechanic time to fix any problems he may find! Make sure your tire treads are in good condition, and ensure your wheels have no bulges or cracks! Also take the time to ensure that your tire pressure is up to par! Are any of these cracked or burnt out? If so, you need to fix them before you leave. Listen carefully for any sign of squeaking or scraping. If you can smell something burning or your pedals go all the way to the floor, it's probably time for new brake pads. If you're leaving for you trip in early Spring/Summer, then you probably haven't used your A/C yet. Try it out to make sure that it's working properly and still blowing cold air. Check the expiration date on your license plate sticker, your insurance, your passport, and your drivers license. You may also want to check into travel insurance or CAA memberships so you don't have to worry about any unforeseen issues on the road! Ensure your Emergency Kit is up to date. A schedule outlining stops, drivers, and when to turn in for the night is another great way to ensure your trip goes off without a hitch! 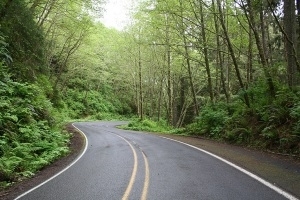 If you follow these 7 tips, your summer road trip is sure to be all play and no car trouble!